I am making a structural latticework, the kind of supports you see on the back of radio telescopes or radar dishes. It is a lot of small struts in triangular and square configurations. 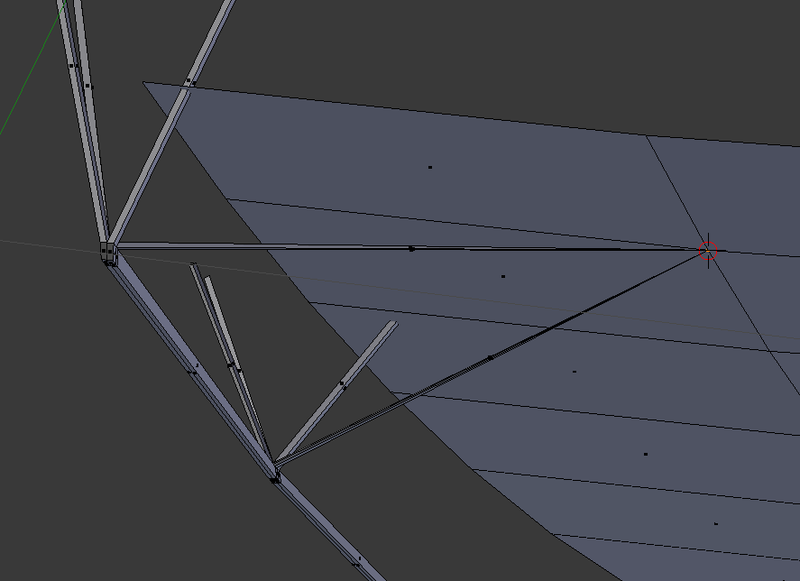 It would be much easier if I could place the 3D cursor where a joint should be, and then make the end faces on the right struts all snap to the cursor. But when I do that, they all collapse to a single point. It seems like if I do it right, I should be able to prevent that. It is in face select mode, pivot center in individual origin mode. The selection mode makes no difference. All you have to do is press ShiftS > Selection to Cursor (Offset). Or you could Press the Offset button in the tool options (that option is there whether you use "Selection to Cursor" or "Selection to Cursor (Offset)"). Not the answer you're looking for? Browse other questions tagged modeling mesh 3d-cursor or ask your own question. How to reduce rotation-caused coordinate/displacement problem?